The Chicago Cubs general manager, Jim Hendry, has been described by many as a lame duck, but team owner Tom Ricketts may want to get out the hunting rifle now before the situation deteriorates any further. Hendry took over the Cubs GM position midway through the 2002 season and has never quite assembled the impressive major league team comparable to the impressive farm system he built in the late 1990s. Once touted for assembling a farm system that included future stars like Corey Patterson, Mark Prior, Eric Patterson, Felix Pie, Rich Hill, and (hey, mildly positive ones!) Kerry Wood and Carlos Zambrano, Hendry is now widely considered a neither great nor terrible GM. His great times (2008, 2004) have been great; his good times (2003, 2007, 2009) have been okay; and his bad times (2005, 2006, 2010, 2011) have been numerous. 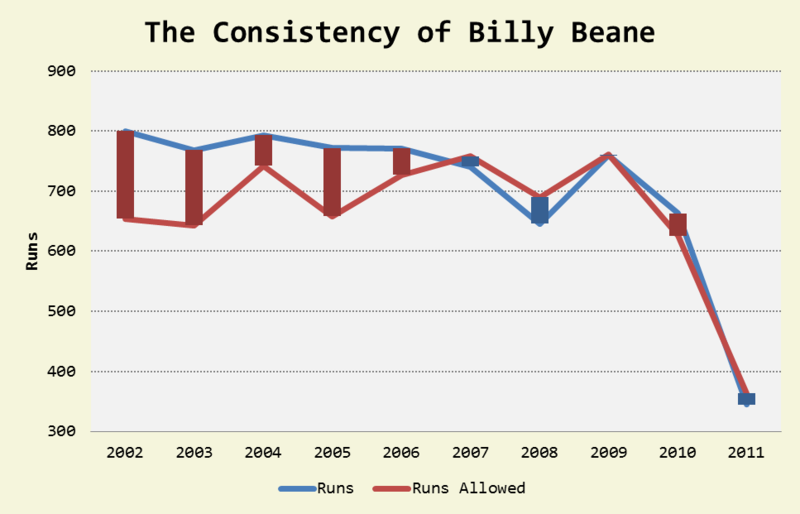 With a fraction of the payroll, Beane keeps his teams more competitive even on the downswings. Quite recently, Hendry purged the upper levels of the Cubs minor league system — in the process releasing one of my all-time favorite authorial outfielders, Fernando Perez (since signed by the Mets). Hendry has taken his youth movement seriously, only falling short of claiming anyone older than 25 should be fired. Out of a cannon. Why would we trade anybody who we think is going to help us next year or the years after? I would say if we move anyone it would be somebody we clearly knew wouldn’t be back. We’re not going to move people that we think are going to help us. Why would I trade Sean Marshall? Why would I trade Darwin Barney? Those calls kind of stop quickly. It makes no sense. (a) He will be GM of the Chicago Cubs next year. (b) The Cubs will be competitive next year. Unlike last year, when the Cubs started the season with an unsustainably bad one-run record, this year’s rendition has suffered from a holistic lack of organizational talent. The Cubs management, ownership, and Kool Aid fans have blamed injuries — but injuries happen every year to every team. The Cubs have given starts to 10 different pitchers this year, which might seem like a lot until we consider that league-leading teams like the Phillies (7) and Red Sox (9) have also used more than the basic five starters. Moreover, the Cubs have gone through more starters than other teams largely because of ineffectiveness, not injury (such as the sad cases of Doug Davis, James Russell, and Casey Coleman). But the issue at hand is less about the Cubs failures in 2011, but more about the incomprehensible analysis. Yes, you should trade someone who can be valuable in future years if the return exceeds the cost. I offer my friend, say Fernando, a book of poetry. He offers me, in return, a $300 baseball bat from Modell’s. I may like my $15 poetry book, but a $300 baseball bat is worth much more. And even if it does not fit my present situation (it does, though, if you’re reading this ‘Nando), then I could still flip the bat for $300 cash — or, if I get all Andrew Friedman on this situation, an Aventador LP 700-4 Lamborghini with a Bose sound system and an ability to play second and right. The point here is: Yes, the likes of Geovany Soto, Darwin Barney, Sean Marshall, Marlon Byrd, or Jeff Baker may help the team in the near future, but they have already helped the present team to a losing record. This is not a championship roster. If Hendry is allowed to finish the season — as many suspect will happen — he may well put the team in a furthered position of disadvantage by not taking advantage of players such as Barney and Baker at the height of their perceived value. The 2012 Cubs have very little chance at being competitive, but the 2011 Cubs could push them further along with a much overdue fire sale and subsequent rebuild, a la the 2005 Tampay Bay Rays. 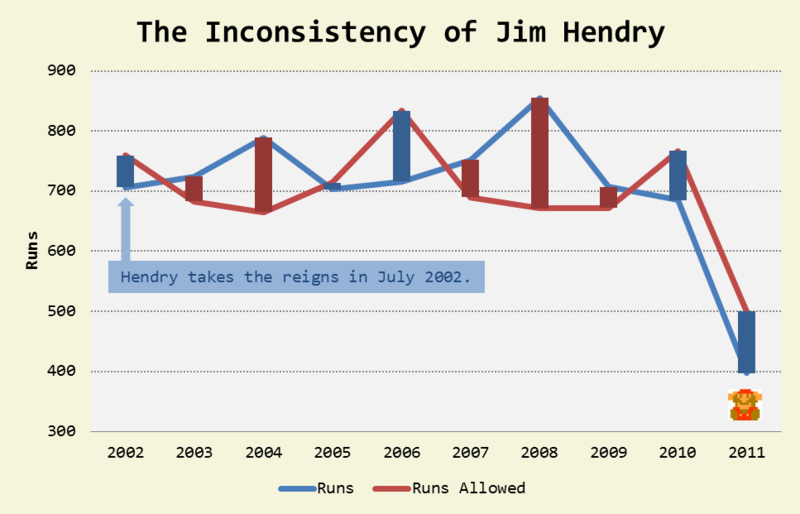 Jim Hendry’s regime has been notorious for its anti-statistical bent. At present, they have one man running advanced statistical analysis for the organization, Ari Kaplan. Many have speculated Kaplan may be member of Ricketts’ new regime, but that new wave cannot come soon enough. With the Cubs’ advanced resources and lackluster division, a progressive, intelligent, and capable front office could quickly make the Cubs into long-term, consistent contenders. But presently, the Cubs franchise is in a state of disarray. It is time, right now, for the Cubs to move on without Jim Hendry. 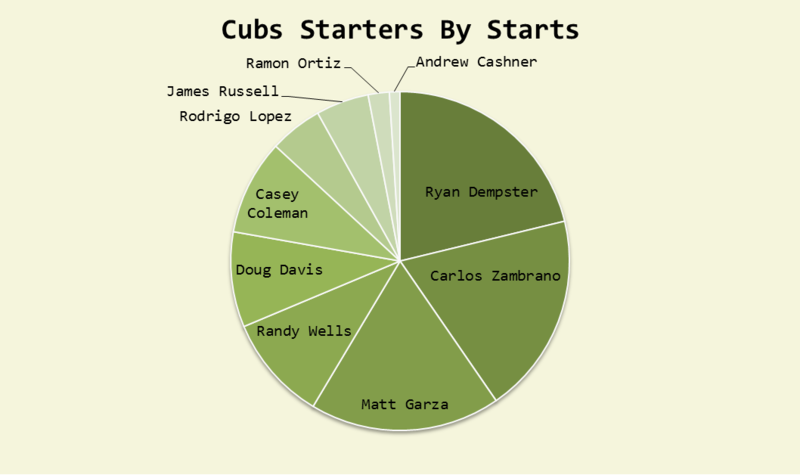 However, the Cubs top-four starters this year have been their top-four starters — which is common for most teams. We hoped you liked reading The Chicago Cubs Need Less Jim Hendry by Bradley Woodrum! And who the hell told Jim Hendry that “opt out” clauses, “No Trade Clauses” and “player options” were must-adds to every FA signing!?!?! Most of his “no trade clauses” are redundant anyway…. haha James, best Fangraphs comment I’ve ever seen.